Custom Kitchens - R.G. Penfield & Sons, Inc. This is a handsome country kitchen re-do high up on a hill in Greenfield — where design meets function! We are kitchen design experts. 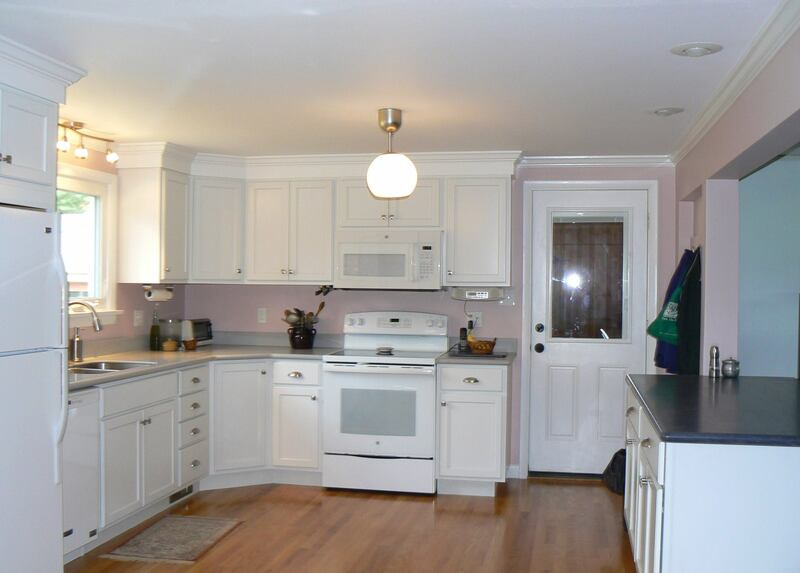 Penfield & Sons has been remodeling kitchens and designing new kitchens for nearly four decades. Any budget, any level of customization … from a fully equipped chef’s kitchen to a modern space-saving galley kitchen, our kitchens will be enjoyed for years to come. We can remodel your kitchen from floor to ceiling, or blow out a wall to create a whole new open concept kitchen, dining, living area that will be great for entertaining. Don’t hassle with electricians, flooring installers, structural builders….we do it all! Kitchens and baths are rooms in your home where the investment will always increase the home’s value immediately. Let’s talk about the kitchen of your dreams! R.G. Penfield and Sons, in Greenfield, MA, is the leading building contractor in Franklin County, and a local family construction company providing the highest quality services to the communities of Western Massachusetts and Southern Vermont since 1970.